"Padshah" and "Badshah" redirect here. For other uses, see Padishah (disambiguation). 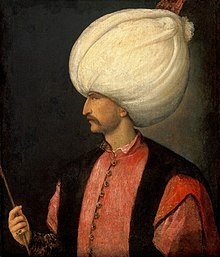 Padishah, sometimes rendered as Padeshah or Padshah (Persian: پادشاه‎, Turkish: padişah) is a superlative sovereign title of Persian origin, composed of the Persian pād "master" (or pati from Old Persian) and the widespread shāh "king". It was adopted by several monarchs claiming the highest rank, roughly equivalent to the ancient Persian notion of "The Great" or "Great King", and later adopted by post-Achaemenid and Christian Emperors. The Shāhanshāh of Iran (King of Kings of Persia), from Achaemenid and Sassanid origin. The emperors of the Mughal Empire. Miangul Golshahzada Abdul Wadud (predecessor styled Amir-i shariat, successors [Khān and] Wali) of the Pakistani North West Frontier state of Swat called himself badshah from November 1918 to March 1926. Ahmed Shah Durrani founded the Durrani Empire in 1747 with the title Pādshah-i Afghanistan in Persian and Badcha Da Afghanistan in the Pashto language. The Sadduzai were overthrown in 1823 but there was a brief restoration by Shah Shujah in 1839 with the help of Ranjit Singh and the Sikh Empire. The title went dormant after his assassination in 1842 until 1926 when Amanullah Khan resurrected it (official from 1937) and was finally laid to rest with the abdication of Mohammed Zahir Shah in 1973 following a coup; at other times the Afghan monarchy used the style Emir (Amir al-Momenin) or Malik ("King"). The last Basha bey of Tunisia, Muhammad VIII al-Amin (proclaimed bey on 15 May 1943), adopted the sovereign style padshah 20 March 1956 – 25 July 1957. The paramount prestige of this title, in Islam and even beyond, is clearly apparent from the Ottoman Empire's dealings with the (predominantly Christian) European powers. For example, one of the terms of the Treaty of Küçük Kaynarca in 1774 was that the defeated Ottoman Empire refer to Catherine the Great, and all other Russian monarchs after her, as a "Padishah" in all official correspondences (including the treaty itself). This was a symbolic acknowledgement that their Christian emperors were in all diplomatic and corollary capacities the equal of the Turkish ruler, who by his religious paramount office in Islam (Caliph) had a theoretical claim of universal sovereignty (at least among Sunnites). Note that as many titles, the word was also often used as a name, either by nobles with other (in this case always lower) styles, or even by commoners. There is a large family of Turkish origin using the surname Badi in modern-day Libya. They were originally called "Padishah" due to their Military rank in the Ottoman Army, but the part "shah" was dropped after the Ottoman landing in the North East Libyan town of Misrata, and the pronunciation of "Padi" became "Badi" from the Arabic pronunciation, as there is no p in Arabic. In 2008, a professional cricket team, the Lahore Badshahs, was founded. In India, Padishah is often a Muslim surname, from the above-mentioned trend of adopting titles as names by both royalty and commoners. In Frank Herbert's 1965 novel Dune, the titular head of human space is styled "Padishah Emperor of the Known Universe". In the Pathfinder role-playing game, the ruler of the Empire of Kelesh is styled "Padishah Emperor". ^ Etymonline.com, s.v. "pasha" Archived 2013-10-06 at the Wayback Machine.